Anything Under Kenny: I’m Not Closeted. Always have dreamt of having my own piece of heaven in my own home A.k.a. the walk-in closet. Who doesn’t want to have one right? This first inspiration picture is the closest to what I have in mind. It’s like being in a Anthropology store. It’s masculine and minimalistic. The colours are dark. This second picture is more DIY inspired. You can just find these organising stuff on Ikea I guess and work from there. Still looks pretty cool. 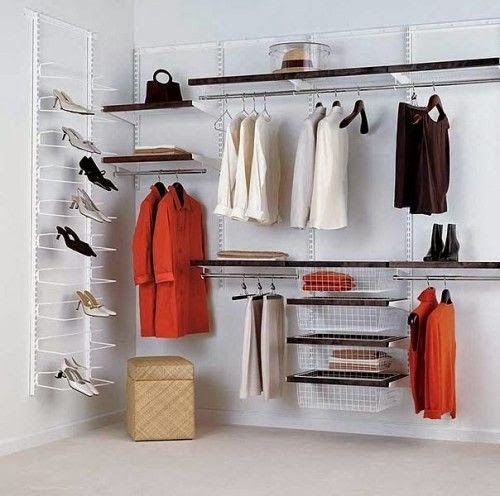 You have to just strategically plan where to put all the organizing racks here. A perfect time to be creative! I also love this one below. 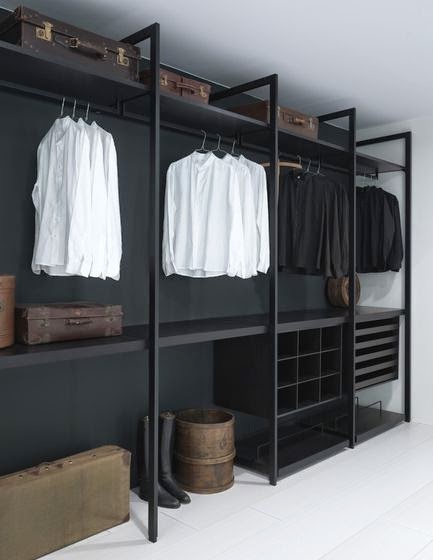 Houses have like built in closets like this but you can just add up storage shelves. You gotta have your island table! For sure. An essential piece in my walk in closet would be a full length mirror because it’s where all the magic happens! Dreaming is free and so I am making the most out of it. Planning is key and so is execution. Sooner I will get to have my own space. And this will be my project then. Let your creative minds lead you to your inspiration. It’s not about being fancy.